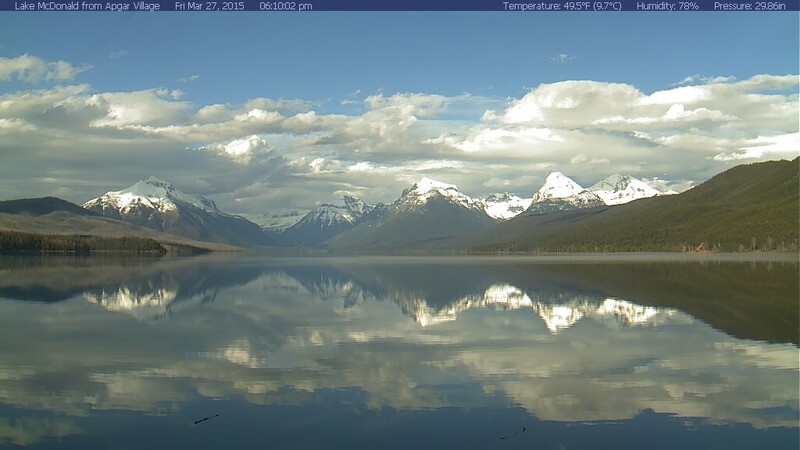 Before we went to Glacier in Montana last summer, I was already poring over webcam images featured on the park’s NPS website. Traveling there increased the frequency of my habit. 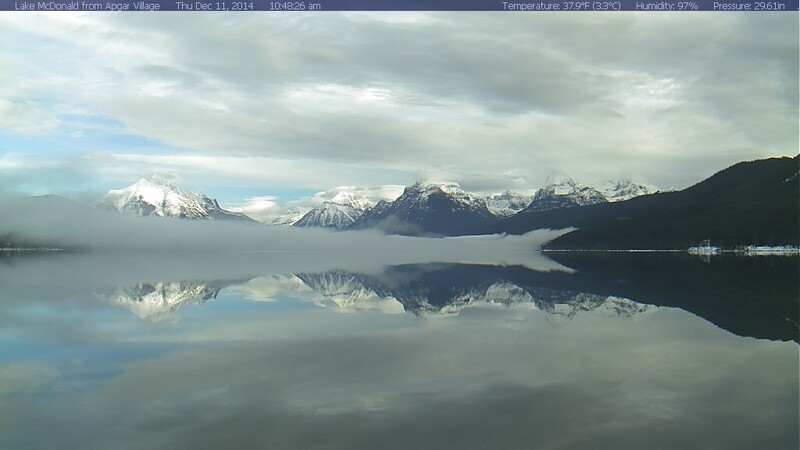 Now, when I open one of my internet browsers, my home page is the Glacier webcam site. Some days, I’ll check it several times, just because. As a result, I’ve got a wide variety of webcam images saved on my computer. Each one is fascinating in its own way, and sometimes I have to stop myself from saving every one I see. Compare, for example, this webcam image from December 11, 2014, to the one above. Then, take a look at the one below to see what the lake looks like when it isn’t reflecting the entire world. 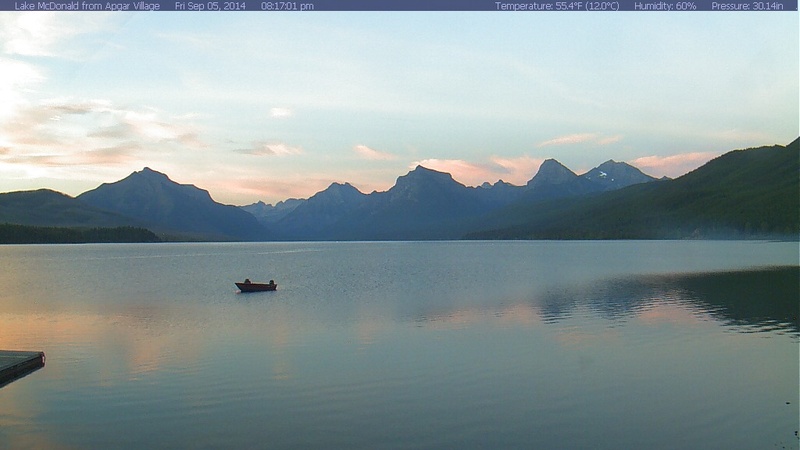 Luckily, NPS makes it easy for anyone to develop this habit through a consolidated list of their park webcams.